The GIMME DANGER: MUSIC FROM THE MOTION PICTURE soundtrack album by Rhino, includes 14 songs from The Stooges’ first three studio albums; The Stooges, Fun House, and Iggy and The Stooges’ Raw Power, as well as fellow Detroit native’s MC5 and music by Pop’s previous bands like the Iguanas and The Prime Movers. The soundtrack is currently available to stream on Amazon Music, in addition to being available for purchase and digital download. 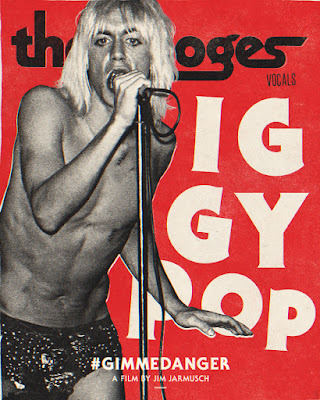 The CD version of the soundtrack is set for release on February 24, while the LP version, featuring only songs by The Stooges will become available on April 7.